Gulf Air Received First 787-9 Dreamliner. Boeing has successfully delivered the first 787 Dreamliner to Gulf Air, the national flag carrier of the Kingdom of Bahrain. The new aircraft is the first of four that is expected to be delivered in 2018. 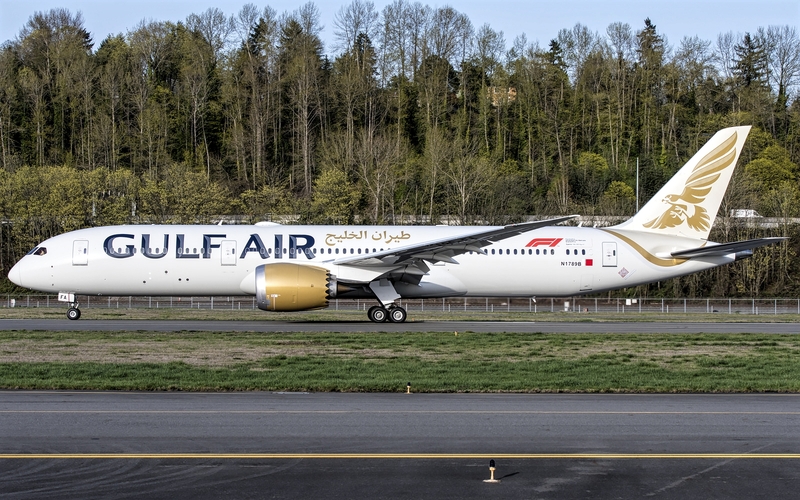 Gulf Air is expected to initially deploy the 787 in its service twice a day between Bahrain and London Heathrow. After its successful use on the route, the new aircraft will be reassigned to handle other long-haul flights. The national operator also revealed that the latest addition to its fleet will have the new image of the airline. Kresimir Kucko, CEO of Gulf Air, said: "This installment is a historic moment for Gulf Air and Bahrain and another important step in our strategic direction to drive Gulf Air's fleet modernization process and support our network and improvement strategies. of the general experience of the passengers. "The 787-9 Dreamliner orders will ensure that we maintain one of the youngest fleets in the region as we develop our award-winning reliability, timely performance and product and service standards," Kucko added. Since the 787 deliveries began in 2011, Boeing has successfully delivered 670 Dreamliner aircraft. To date, the aircraft has flown more than 240 million passengers, and as a result of its high level of efficiency saved more than 23 billion pounds of fuel. Marty Bentrott, Vice President of Sales for Boeing Commercial Airplanes for the Middle East, Turkey, Russia, Central Asia and Africa, said: "Gulf Air joins the growing number of airlines operating the 787 Dreamliner throughout the Middle East. "The Dreamliner's demand underscores the operational efficiency and travel experience that the plane brings to the airline and its passengers."